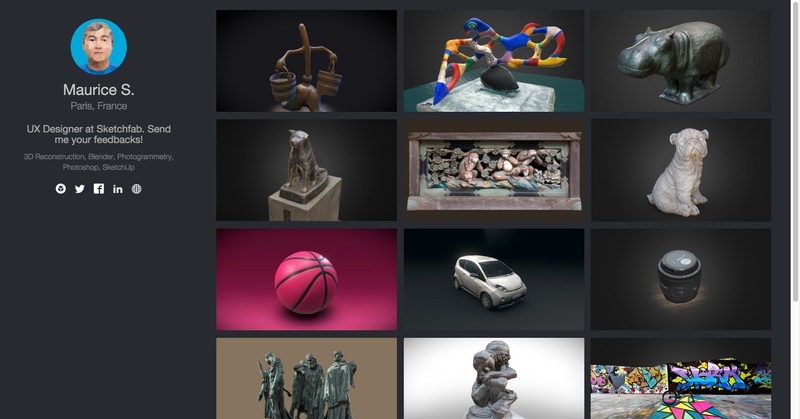 Since the Sketchfab.me portfolios have been discontinued, I've made a portfolio application that you can host yourself. If you want to customize the portfolio, you can use a Bootstrap theme, or create your own with CSS. The application is pretty easy to install. Basically, you just download, unzip, upload to your PHP server, enter your username in the app, and you're done. Check the install instructions for more details. The application is not officially supported by Sketchfab, but you can report any issue in this forum thread, or on the github repository. You can subscribe to this forum thread to receives updates on the portfolio app development. Models not being refreshed when clicking on "Update portfolio". A change in the API was breaking the update. Sort by date/likes/views does not work since 1.1.0. Is this importable into Wordpress by chance? @arck_project there is no integration into Wordpress at the moment. What kind of integration were you thinking about? This release fixes an issue with updates resulting in an empty page. To upgrade, replace the existing app files with the new ones. By the way, why was the official portfolio discontinued? What would cause this not to work? it seems that the app was no longer working because it didn't keep up to date with the API. This version should fix the problem. The best is to delete the old app, and install the new one from scratch. This release fixes an issue with Sketchfab API. To upgrade, replace the existing app files with the new ones. Make sure to delete any files in data. Ahh. Thank you for the update, all works great now.